Mrs. Joyce (Watt) Ambuske, 68, of Kill Buck, NY, died at Comfort House of Allegany County early Wednesday morning on January 30, 2019 following a short illness. Born June 19, 1950, she was the daughter of the late Harold “Cookie” and Iva Newark Watt. She was a graduate of Ellicottville High School, Class of 1968. She had worked in the Finishing dept. at Fancher Furniture company and later Philadelphia Furniture retiring after thirty years. She had also worked at the Seneca Allegany Casino. Mrs. Ambuske enjoyed spending time with her children and grandchildren. When she was younger, she enjoyed crocheting. She loved to watch the food channel and was known to be a good cook herself. Surviving are: two daughters, Sarah (Jason Waid) Ambuske, Bradford, PA, Lisa (Darin) Winship, Kill Buck, NY; three granddaughters, Maria Wilson, Holland, NY, Cassandra Waid, Bradford, PA, Brooklynn Ambuske, Kill Buck, NY; a grandson, Maverick Winship, Kill Buck, NY; three sisters, Sally (Daniel) Fluent, Lyndon, NY, Nancy (Lee) Mohr, Salamanca, NY, Sharon “Dubie“ (Kevin) Onuffer, Salamanca, NY; a brother, Butch (Vicky) Watt, Great Valley, NY. 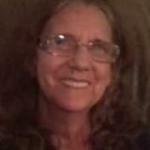 She was predeceased by a sister, Carol Dolecki. There will be no visitation. A Celebration of Life will be held at the convenience of the family and will be announced. In lieu of flowers, the family suggests memorials be sent to the Comfort House of Allegany County, 141 East State Street, Wellsville, NY, 14895.